Here is new creation ship, which belongs to his fiction world -Barqa,- of Gabriel Thompson aka qi-tah. 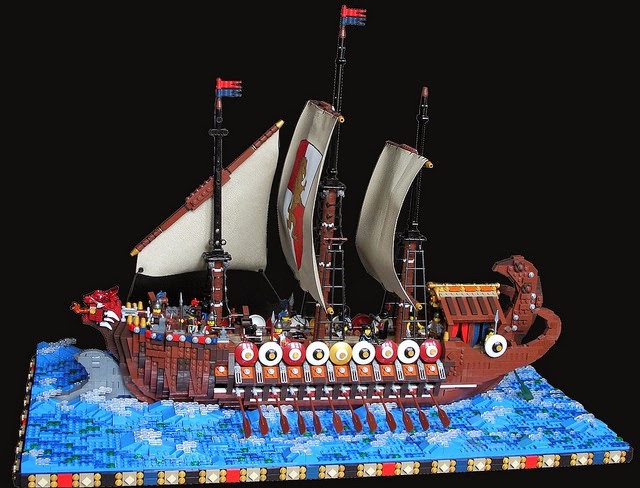 Details and colors are amazing of the brick built ship. Also I like the waves which looks very real in terms of using new technique.